Amina used to live in chronic hunger. She could not see any way out of the repetitive daily struggle to survive. She had no hope for the future. Her life involved spending days gather wood, walking for hours to collect water, and back-breaking work in the fields to try and grow enough food to feed her family. Every day was the same for Amina. “My children didn’t go to school. Why would they need to go to school just to work in the fields?” Amina said. Her life changed because someone like you invested in her. She attended one of The Hunger Project’s Vision, Commitment, Action workshops where Amina learned that she had the power to change her life. For the first time, she created a vision for her future, made a commitment to herself, and learned how to take action and achieve her new visions. 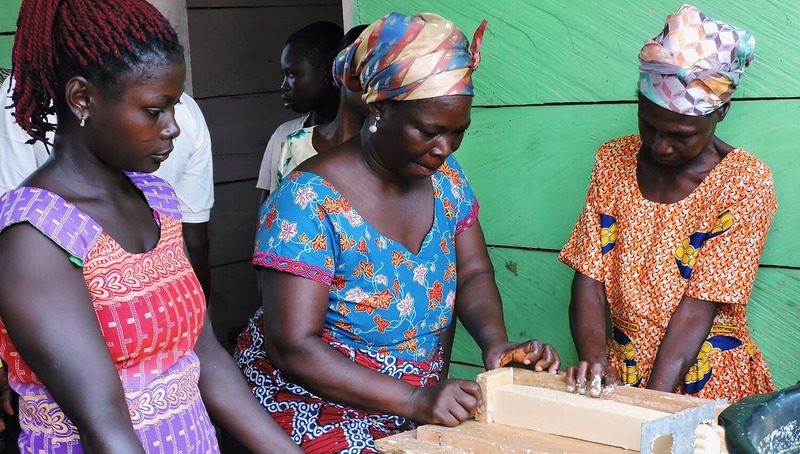 “Now I have a successful soap making business, I have learned how to grow vegetables and make nutritious meals for my family and I have a beautiful vegetable garden. My children go to school and I work with my husband in his business. Together we make joint decisions about our children and our money,” Amina said. Finding her vision for her future, Amina is now committed to helping others in her village achieve their own vision and end their own hunger. Her entire village is being transformed thanks to the partnerships and investments from people like you.